Don Davies, NDP MP for Vancouver Kingsway, seen here on Nov. 15, 2016, said that he believed the main takeaway was that 'massive investments' in treatment are needed. Public health experts in Vancouver have cautioned a parliamentary health committee studying the effects of methamphetamine use not to focus on any one particular substance in treating addiction, and called for legislative changes at the federal level. The committee visited three locations in Vancouver on Friday. The local experts – including medical directors, physicians and managers of overdose prevention sites – said they were at first reluctant to embrace some of the unconventional treatment models, but now see them as crucial entry points to care. At the Molson Overdose Prevention Site, Coco Culbertson, senior manager of programs at the Portland Hotel Society, told the Liberal, Conservative and NDP MPs about the facility’s hydromorphone programs: It is the only overdose prevention site in Canada to offer the prescription opioid to clients as an alternative to fentanyl-contaminated drugs bought on the street. Ms. Culbertson said even some staff worried that “giving drug users drugs” would create chaos. At Insite, North America’s first legally sanctioned site for supervised consumption, Keith Ahamad, medical director for the regional addiction program at Vancouver Coastal Health, said he was introduced to harm reduction while volunteering at a needle exchange in the early 1990s before he became a physician. Dr. Ahamad cautioned against focusing on meth use alone, as substance-use disorders often involve more than one substance, and the underlying issue is untreated addiction. “We are going to fail if we don’t invest in primary-care models that are integrated with harm reduction while simultaneously funding and regulating evidence-based treatment and addressing social determinants of health," he said. The Vancouver stop was the last in a five-day trip that also took the committee to Montreal, Winnipeg and Calgary. 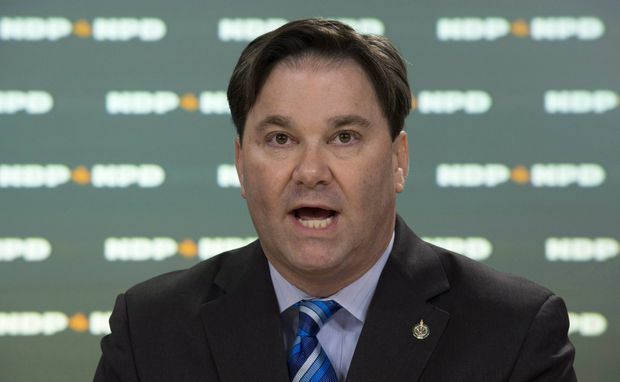 Don Davies, NDP MP for Vancouver Kingsway, health critic and vice-chair of the committee, said in an interview that he believed the main takeaway was that “massive investments” in treatment are needed. As well, he said the committee heard calls for drug decriminalization and regulation at every stop. Chris Van Veen, director of strategic initiatives and public health planning at Vancouver Coastal Health, said later that decriminalization and regulation are needed to enable a meaningful public health response. “They listened really well to the concerns, mentioned how powerful the tour was in helping them understand the context, and talked about how more public education would help the cause," Mr. Van Veen said.